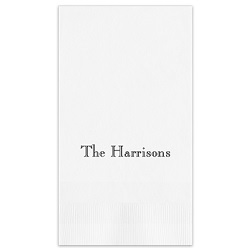 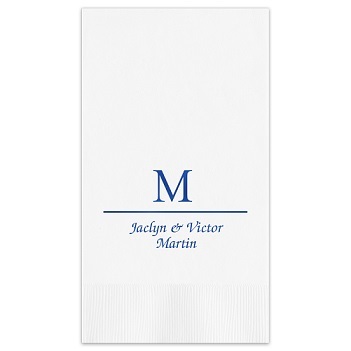 Our Initial and Name Guest Towel - Foil-Pressed features a large single initial and two lines of additional text below. 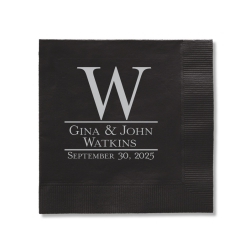 The bottom two lines feature a choice between 10 popular lettering styles. 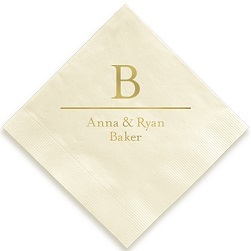 Choose a guest towel color and foil color to complete this great party table accessory.